Netflix plus freeview TV are included in our flat panel TV’s. Free guest laundry onsite with a washing line to dry clothes on. Located just 2 minutes walk to the Central Mall, and very handy to all of the major attractions in and around Rotorua we are a great base for exploring or just relaxing in town at any of the wonderful restaurants and bars. With our own Geothermal bore onsite, you will be delighted with the genuine mineral spa pool with therapeutic and soothing properties, it is a great way to unwind after a hard day’s sightseeing and is said to help with arthritic pain, rheumatism and muscular pain, just to name a few. Our outdoor swimming pool is set at between 30 – 34 degrees in summer and a warmer 34 - 38 degrees in winter months so can be used and enjoyed all year round. 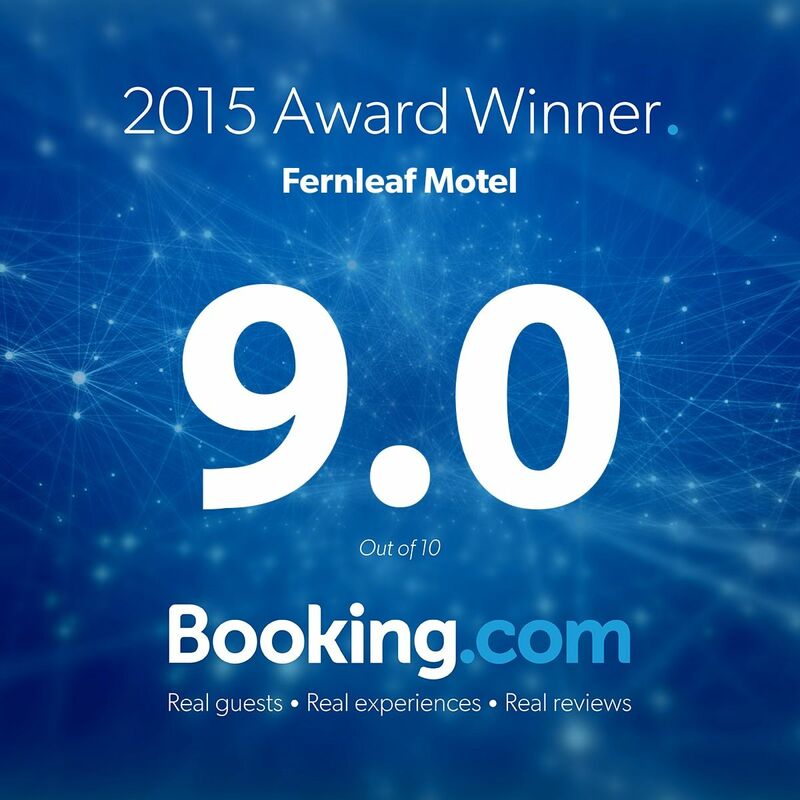 Whether you are visiting Rotorua for a weekend or as part of your NZ adventure, Fernleaf Motel offers a warm welcome to all of our guests. We can assist with attractions bookings, or dinner reservations, and provide various discount vouchers. Being mountain bike friendly, we supply a lockable facility for your bikes. Parking is available for each unit. Free Wifi is available to all units.